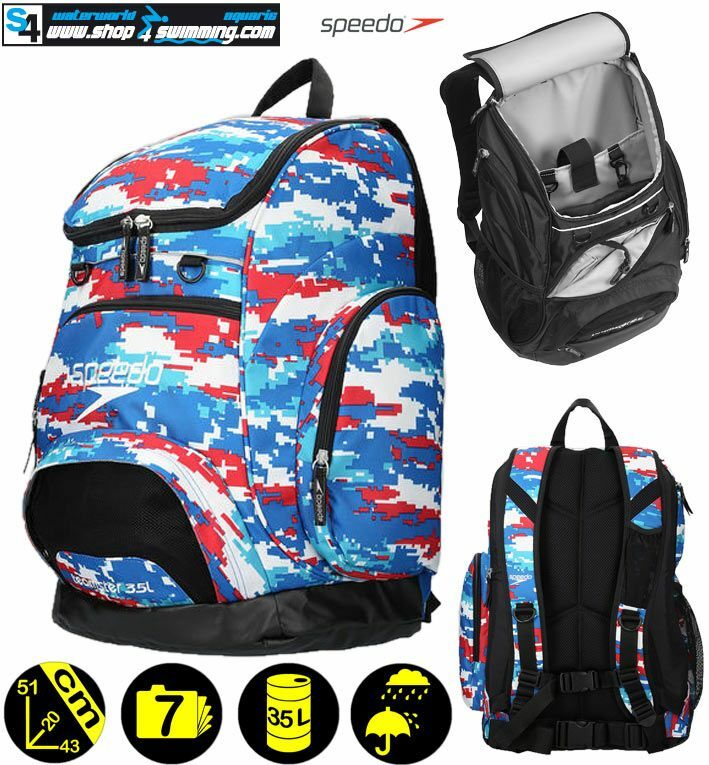 Classic shape and styling of the Speedo Team Pro backpack with new and improved materials and a quality addition like an offset raised laptop sleeve to protect corners. Removable "dirt bag" keeps wet and dirty items away from electronics and clean clothes. 2 frontal pockets with zips. 3 side pockets (2 with zips).